A delightful French food gift Hamper from the Loire Valley! We needed a royal region to celebrate the holidays properly with our subscribers—and what better place than Loir-et-Cher? Dotted with regal castles like the famous Château de Chambord, built by King Francis I, or the Château de Cheverny, this land is also home to the hunting grounds of Sologne, the wines of the Loire Valley, mushrooms, goat cheese and other kingly delicacies, perfect for celebrating the culinary glories of the Christmas season. We loved eating our way through Loir-et-Cher: our lucky gourmands are in for a fabulous treat with this gourmet Christmas hamper. But we’re happy to let you be the judges! 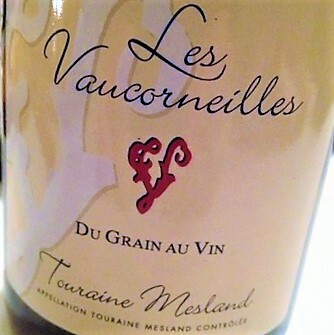 Winery: Domaine Les Vaucorneilles, Christine et Gilles Chelin. “From earth to vine, from grape to wine, from knowledge to pleasure, the winemaker is a restless traveller who reveals to us the richness of a fabulous terroir”. These words are printed on the label of the wine we selected for this Christmas gourmet hamper, and we at La Gourmet Box couldn’t agree more. This month we bring you a wine from a little-known designation of origin that’s definitely worth discovering, Touraine-Mesland, part of the Touraine AOC, whose excellence has earned it a star in the Guide Hachette, the world-renowned guide to French wines. Independent wine growers committed to organic agriculture, Christine and Gilles have created this blend of Gamay, Cabernet Franc and Côt or Malbec grapes with a deep maroon colour and a bouquet of red berries and spices. Full-bodied and brimming with character, this wine is perfect for pairing with the game dish included in your gourmet Christmas hamper. An exquisite corner of France, bottled for your sipping pleasure! Serve at between 15 and 17º C.
Artisan: Laurent Gauthier, La Champignonnière du Val Saint-André. Son of a mushroom grower, in 1996 Laurent Gauthier decided to turn the 5-kilometre tunnels of an old abandoned quarry into an underground mushroom farm. These same mushrooms are processed and mixed with herbs to create a subtle yet fantastically flavourful spread. Just stir and serve fresh on toast for an original, all-natural snack that’s sure to be a hit at your holiday hors d’oeuvres party! Artisan: Biscuiterie artisanale de Chambord. 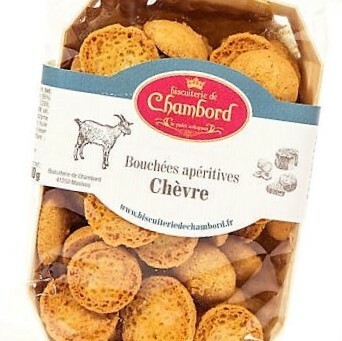 Delicious little biscuits with an amazing goat cheese flavour, these morsels are a wonderfully crunchy introduction to this rich region and a fantastic opportunity to appreciate the savoir-faire of our artisan, who has combined timeless tradition with the finest selection of fresh ingredients. You can’t beat the goodness of simple things done right! 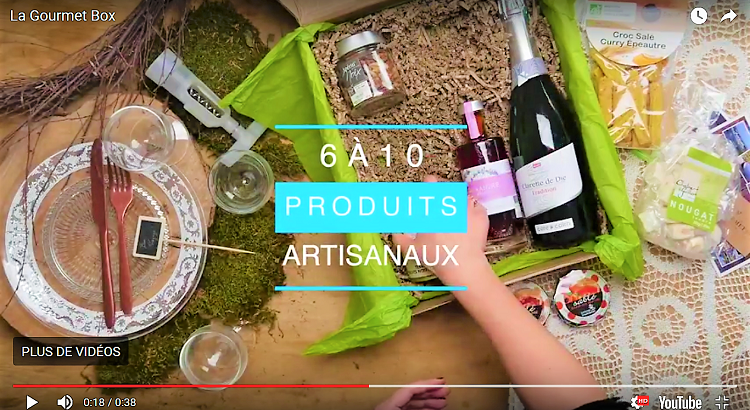 Artisan: La Bourriche aux appétits, Julien Quesneau Artisan conserveur. Every year, the Domain National de Chambord organises hunts to control the population of large animals. 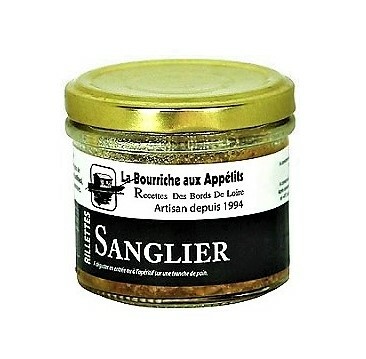 In this forest the size of old Paris, responsible humane hunting practices are used to bring down game like the wild boar our artisan has skilfully transformed into these rillettes, a delectable culinary success. Spread on a slice of fresh or toasted bread for a heavenly snack! Sologne is renowned as a land of lakes and wild game. Just outside Chambord, the gateway to Sologne, former chef Gilles Quesneau decided to set up shop and concoct delicious recipes using the region’s exceptional products. Honestly, we found it hard to choose just one: every dish we tried was so amazing that we felt like we were dining at an upscale game restaurant. 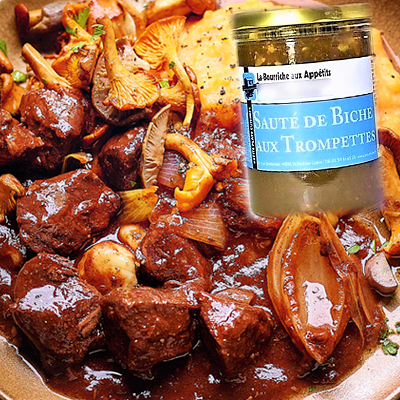 In this recipe the venison is stewed with horns of plenty—wild mushrooms with a fine, delicate texture—and a red wine sauce, a truly fabulous combination. Let us know what you think! Just heat the contents of the jar in a saucepan (or in the microwave if you’re pressed for time) and serve with potatoes or pasta, for example. When you pop one in your mouth, you’ll understand why these are one of our artisan’s best-selling creations! 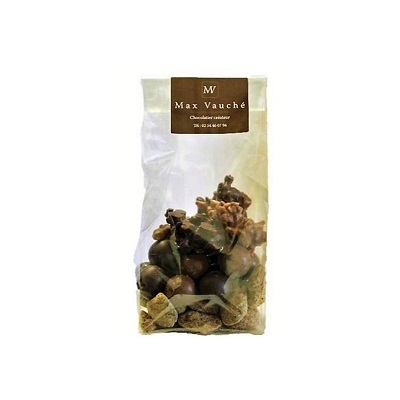 Artisan: Max Vauché, Artisan Chocolatier Créateur. A master chocolatier since 1999, Max Vauché is passionate about his craft: in the workshop, he and his team have devised a thousand and one ways to savour chocolate, and he personally selects and processes the cocoa beans used in his recipes—and you can taste the difference. We loved everything we tried, so instead of picking just one we decided to prepare a bag with three of his specialities, each more delicious than the last. We hope you enjoy this sweet experience as much as we did! 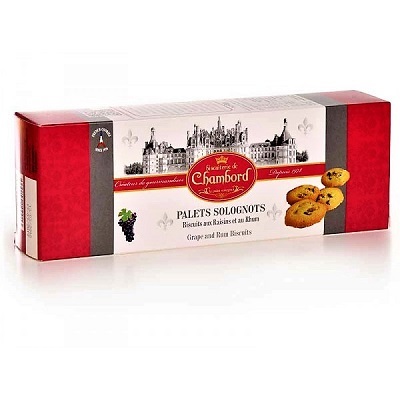 Merry gourmet Christmas to all our subscribers! 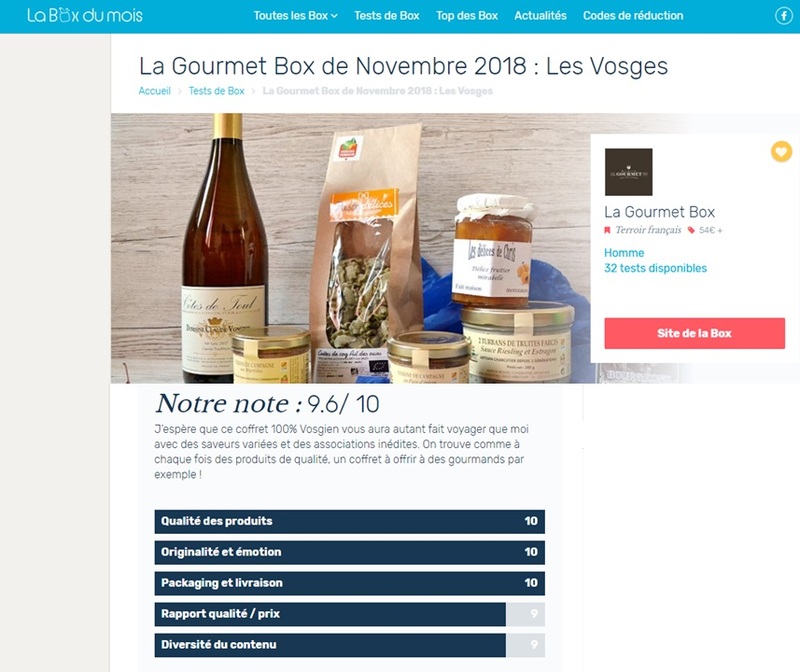 This month, in La Box du Mois website: excellent rating !